The Aladdin 1916 catalog reflects the desire of Americans for a comfortable affordable home, especially at a time with the prospect of war on the horizon. Innovations in domestic architecture included indoor bathrooms for many models, though it was still common for them to be absent. Built-in clothes closets in bedrooms were also more prevalent and began to replace freestanding armoires and linen presses. Aladdin kitchens were empty; it was up to the home owner to decide what types of furnishings were required. Most homes still used woodstoves, so it wasn't uncommon for a kitchen to have little more than a big wood stove, a table and chairs, and a built-in sink and drainboard. The last essential component was storage for pots, pans, and staples. Aladdin offered a nice built-in cabinet as well as free-standing Hoosier-type cabinets that were every homemaker's dream. 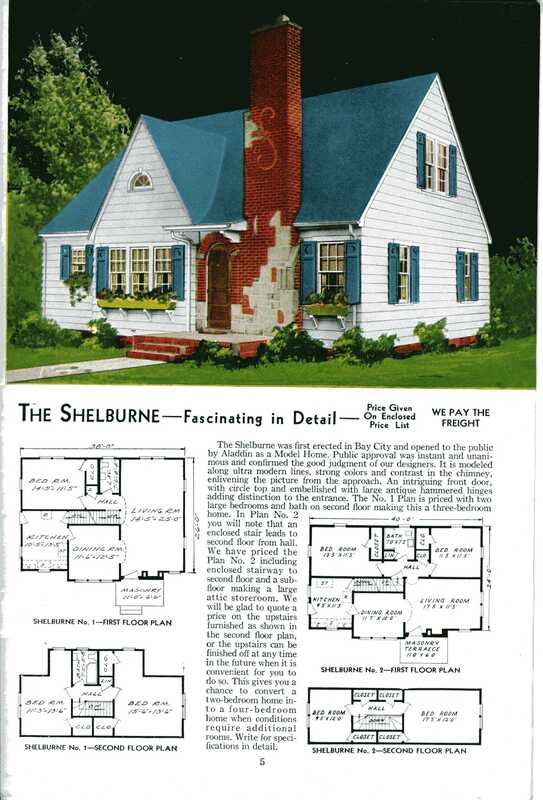 In addition to the house plans listed, the 1916 catalog includes plans for tiny summer cottages, optional additions, and barns. Other options include bathroom fixtures and full suites of matched light fixtures.